Zero loss of oil during purification. Operator room is equipped with air conditioning and a PC, making operator job easier. Performance of the equipment in regeneration mode is 4 m3/h. 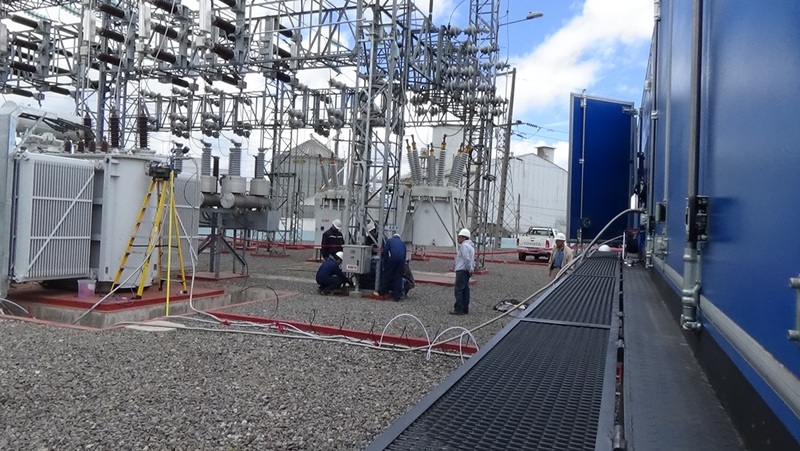 GlobeCore engineers provided staff training on working transformer in Ambato, Ecuador. The CMM-12R unit processed insulating oil in the on-line transformer without switching taking it offline. Ecuador is a mountainous country, which showed that GlobeCore equipment operates consistently and shows good results even in high elevations.